A vacation in Puerto Vallarta has many things that make it appealing, including educational opportunities and learning adventures. The whole family can benefit from the expertise of bilingual guides with Vallarta Adventures educational tours. Discover the culture of Mexico’s pre-Hispanic ancestry and visit historic pueblos while trekking through jungles and hidden mountain valleys. Learn about family-run sustainable farms and sample some fresh local foods. Throw in some off-roading and some of the best views in the world, and you’ll have an unforgettable and educational vacation perfect for family members of all ages. The cultural and educational tours provided by Vallarta Adventures include five routes along the Sierra Madre mountains that show different parts of the country’s history. You’ll get a chance to see how the indigenous heritage has blended with the European influence of later inhabitants to create the rich culture we have today. The Hidden Mexico tour takes you just south of Vallarta, where you’ll visit a family-owned botanical garden and see ancient petroglyphs. You’ll also visit the town of El Tuito and wander its cobblestone streets to your heart’s content. Finally, you’ll enjoy artisan bread cooked in a time-worn hillside stove while listening to exciting stories of pre-Hispanic ancestors, told by an entertaining and knowledgeable tour guide. The day also includes lunch, dessert, and tequila tasting. This beautiful colonial mining town is like a walk through a living museum. Nestled deep in the Sierra Madre mountains and tucked away from the busy tourist attractions and larger cities, this historic town has been preserved in time. San Sebastian del Oeste was founded in 1605 when silver miners settled the town hoping to strike it rich. Many of the original structures and architecture still remain to this day, as well as original traditions and culture, which makes it the ideal spot to immerse yourself in Mexican history. A tour through Talpa and Mascota gives you an intimate look at two of the most beautiful mountain mining towns in the Sierra Madre’s. These towns are referred to as Pueblos Magicos, which means magic villages, because of their stunning beauty and the crucial role they played in Mexico’s history. You’ll see historical landmarks and have a chance to explore the town square in the heart of Mascota where you can try handmade tortillas and candy. Tour guides will teach you about the historic church that took over a hundred years to build and still stands unfinished. Then, you’ll continue to Talpa de Allende, famous for its church, which is home to the legend of the “Virgin of Talpa.” You’ll also be able to try delicious treats here since Talpa includes a thriving candy factory. In both of these towns, you’ll get a glimpse of how the people have preserved sacred Catholic traditions as well. 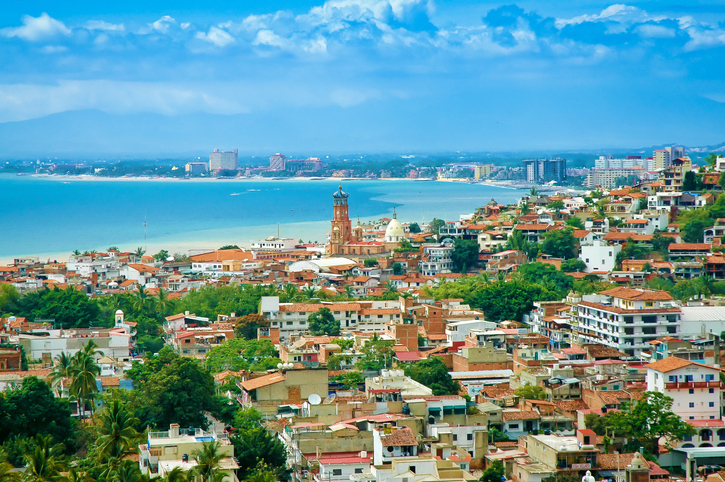 These picturesque beach towns are a great place to get a feel for the fun side of Mexican culture, as well as add an artistic element to your educational vacation. On your tour of Sayulita and San Pancho, you’ll visit a funky beach town with music playing in the streets and surfer parties on the beach. In contrast to Sayulita, San Pancho is a bohemian haven for art lovers, where you’ll learn about the native Huichol crafts and visit a local art center that recycles trash into works of art and provides creative opportunities for kids in the community. This educational tour is focused on many things to see and do, so you’ll get an amazing hands-on learning experience like nowhere else. On this tour, you can immerse yourself in the rural agriculture of the local farming communities that surround Vallarta, as well as learn how to make corn tortillas. Dive into adventure in the jungles of Banderas Bay, both on foot and during a wild ride in one of our signature yellow Mercedes trucks. Our experienced guides will assist you in spotting sneaky wildlife like iguanas and tropical birds while you hike through the lush Sierra Madre mountains. You’ll also visit an old Mexican pueblo, rich in history and culture. Check out Vallarta Adventures Cultural Tours to create an exciting and educational vacation, with an immersive Mexican history experience. Explore authentic Mexico in Southern Vallarta and make sure to learn about the Puerto Vallarta cultural tours and the amazing food you will get to try before you go. Contact us to book your tours today!